Dele Alli picked up the injury in England's 2-1 defeat by Spain in Saturday's UEFA Nations League opener at Wembley Stadium. 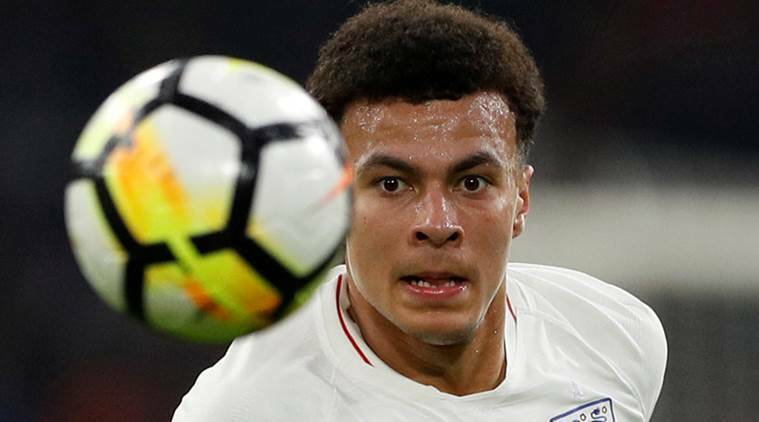 England midfielder Dele Alli has withdrawn from the squad ahead of Tuesday’s friendly against Switzerland due to a minor muscle strain, the English Football Association said on Monday. Alli, 22, picked up the injury in England’s 2-1 defeat by Spain in Saturday’s UEFA Nations League opener at Wembley Stadium. The Tottenham Hotspur player is set to return to his club for further treatment. Alli faces a race to be fit for Saturday’s Premier League clash with Liverpool. England have called up Leicester City duo Ben Chilwell and Demarai Gray for the friendly match at the King Power Stadium, but said they would not make any more additions to the squad ahead of Monday’s training session.